Because the United States accounts for only one-third of the world's equity markets and a quarter of its GDP we manage global portfolios. 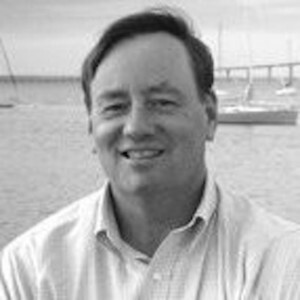 Lowell Thomas joined South Shore Capital Advisors in October 2008 to open the Newport, Rhode Island office. Mr. Thomas has 25 years of investment experience with a background in international equities. He started his career in private wealth management at Brown Brothers Harriman & Co. He later spent eight years in institutional equity sales in Europe with Drexel Burnham Lambert in Zurich and Barclays Bank in London. Most recently, he ran the Citigroup international equity desk in Boston. Mr. Thomas has a B.A. in Economics from Tufts University and is a Chartered Financial Analyst. Certifications and licenses are helpful guides to an advisor's expertise and ability to deal with specific topics. Below is a list and explanations of the most common certifications found in the industry, and among GuideVine advisors. Holders of the Chartered Financial Analyst designation gain advanced investment, analysis, and real-world portfolio management skills. In the investment and financial planning industry, the CFA designation is considered among the highest accolades a professional can achieve. To become a CFA charterholder, a candidate must meet four requirements. 1. Demonstrate at least 48 months of qualified work experience in the investment industry as determined by the CFA Institute. 2. Pass all three levels of the CFA Program examination in order. 3. Obtain membership within the CFA Institute and pay annual dues. 4. Pledge a commitment annually to following the CFA Institute Code of Ethics and Standards of Professional Conduct. Failure to adhere to the ethics and standards is grounds for possible lifetime revocation of the CFA charter. CERTIFIED FINANCIAL PLANNER™ professionals have completed extensive training and experience requirements (including but not limited to budgeting, retirement planning, education saving, tax planning, and insurance), and are held to rigorous ethical standards. CFPs understand the complexities of the changing financial climate and know how to make recommendations in your best interest. Certified public accounts provide a wide range of services including accounting, auditing, tax, personal financial planning, technology consulting and business valuation. CPAs employed in business, industry and government are likewise responsible for activities from accounting and financial reporting, implementing and managing internal controls and information systems, to compliance with tax and other laws and regulations and other areas of business and financial management. Certified Public Accountants are subject to a code of ethics. Federal and state laws require CPAs to maintain independence when performing audits and reviews. The licensing authority and qualification requirements for CPAs fall under the jurisdiction of the Board of Accountancy for the state, district, or country in which a CPA practices. Certified Fund Specialists gain expertise in mutual funds, ETF, and REITs, closed-end funds and similar investments, as well as advanced fund analysis and selection, asset allocation, portfolio construction and sophisticated investment strategies. This designation is licensed by the Institute of Business and Finance. Chartered Financial Consultants learn the essentials of financial planning, including insurance, income taxation, retirement planning, investments and estate planning, as well as more advanced and nuanced topics such as behavioral finance, financial planning for families with special needs dependents, small business planning, financial planning for clients in the LGBT community, financial planning for divorce, and more. This designation is obtained through the American College of Financial Services. Advisors who hold the Chartered Investment Counselor designation are required to demonstrate significant experience in performing investment counseling and portfolio management responsibilities. At the time the charter is awarded, candidates must be employed by an IAA member firm, must provide work and character references, must endorse the IAA’s Standards of Practice, and must provide professional ethical information. They must be fiduciaries and also hold the CFA designation. Certified Investment Management Analyst ® (CIMA®) certification is an international, technical portfolio construction program for investment consultants, analysts, financial advisors and wealth management professionals. The Personal Financial Specialist (PFS) credential is granted solely to CPAs with considerable PFP education and experience who want to demonstrate their knowledge, skill and experience by earning this exclusive credential. As retirement plan options evolve and tax complexities increase, many companies seek professional plan administrators to design, install, and maintain their company retirement plans. Advisors who obtain the CRPS® designation are able to recommend implementation techniques that can be executed into well-structured, company-appropriate retirement plans, and in addition can effectively administer retirement plans for businesses and their employees. The Chartered Retirement Planning Counselor designation helps advisors define a “road map to retirement,” enabling them to focus on clients’ pre-and post-retirement needs, as well as issues related to asset management and estate planning. Certified Retirement Counselor® (CRC®) certification was created to advance recognition among retirement planning professionals of the need for a retirement specific certification program that demonstrates a mastery of subject matter, a commitment to the retirement planning profession, and adherence to a code of ethics and continuing education. Advisors who hold the Chartered Advisor Senior Living® designation are committed to helping aging clients achieve financial security now and into the future. The CASL® helps advisors lead clients from middle age through retirement and assist them with the management, preservation, and transfer of wealth. CASL® designeees receive a comprehensive education on the financial, psychological, and sociological issues facing older clients. A CDFA® is someone who comes from a financial planning, accounting or legal background and goes through additional training to analyze and provide expertise related to the financial issues of divorce. The CDFA® becomes part of the divorce team and is responsible for: identifying the short and long-term effects of dividing property; integrating tax issues; analyzing pension and retirement plan issues; determining if the client can afford the matrimonial home or if there are affordable alternatives; evaluating the client’s insurance needs; establishing assumptions for projecting inflation and rates of return, and bringing an innovative and creative approach to settling cases. CLU® holders guide clients on the types and amounts of life insurance; make recommendations on aspects of risk management, and share in-depth knowledge of various insurance solutions. With particular emphasis on ethics and commitment to clients, a CLU® designee understands the legal aspects of life insurance, and assists clients in making decisions about estate planning, including various wills and trust arrangements. CAIA® is the globally-recognized credential for professionals managing, analyzing, distributing, or regulating alternative investments. An advanced credential created specifically for wealth managers who work with high-net-worth individuals, focusing on the life cycle of wealth: accumulation, preservation, and distribution. Candidates who earn the certification understand how to develop specific strategies to minimize taxes, monetize and protect assets, maximize growth, and transfer wealth. Advisors with CKA® designation are primarily Financial Planners, Investment Professionals (Wealth Managers), Insurance Professionals, Estate Planning Lawyers, and Tax and Accounting Professionals who are committed to engaging clients with biblical Christian principles. Financial Professionals who hold the Chartered Mutual Fund Counselor or CMFC® Program gain a thorough knowledge of mutual funds and other packaged investment products, their various uses as investment vehicles, and various aspects of risk and return to better select the right mutual funds for all client types. Financial professionals who hold the AAMS designation gain a strong foundation in fundamental financial knowledge with an additional focus on asset management. Financial professionals who hold the CPM® designation have obtained a deeper understanding of fundamental security analysis, asset allocation, and portfolio management concepts for managing discretionary portfolios. Administered by the National Institute of Certified Estate Planners, Inc., the CEP® designation gives experienced financial, legal, and tax professionals a comprehensive understanding of estate planning core disciplines to help them better serve their clients with regards to wills, trusts, and legacy planning. Trust and Wealth Advisors earn this designation after passing the CTFA examination which tests for a wealth advisory professional’s expertise in Fiduciary & Trust Activities, Financial Planning, Tax Law & Planning, Investment Management, Ethics. The Certified in Long-Term Care program is run by the CLTC Board of Standards and is one of the few standards that look at the issue of long-term care insurance. Professionals in the fields of insurance, financial services, law, and accounting study the consequences that can arise from a need for long term care, and learn to create plans to mitigate these consequences, and when appropriate, recommend long-term care insurance as a funding source for that plan. The Series 65 is a securities license required by most U.S. states for individuals who act as investment advisors. To obtain this license, financial professionals must pass the the Series 65 exam, called the Uniform Investment Adviser Law Examination, which covers laws, regulations, ethics, and topics such as retirement planning, portfolio management strategies and fiduciary responsibilities. The exam itself is administered by FINRA. The Series 66 is a securities and investment advice license. To obtain this license, financial professionals must pass an exam administered by the Financial Industry Regulatory Authority (FINRA) also known as the North American Securities Administrators Association (NASAA) Uniform Combined State Law Examination. Passing the exam qualifies candidates as both securities agents and investment advisor representatives. Advisors specialize in service offerings to meet the needs of particular client types and situations. Listed below are the most common services. Advisor will manage your portfolio by buying and selling investments (e.g., stocks, bonds, mutual funds, ETFs) to help you achieve your specific investment goals. The advisor provides advice on an overall investment strategy, including selecting investments or money managers to work with. While they do not manage the strategy for you, most consultants will actively monitor it and provide on-going advice based on changing goals and market conditions. Advice only, not execution: the advisor provides advice on how to allocate your investments between specific asset classes (e.g., equities, fixed income, cash, international investments, real estate and alternative investments). You are in charge of managing your own investments and executing based on the advisor's recommendations. The advisor helps you plan for your ideal retirement taking into account your savings, investments, expected future income and cashflows, company retirement plans (401k, pension, etc.) and retirement goals. The advisor will help you manage your tax liabilities and offer tax efficient investment/financial solutions. The advisor can provide you with advice on buying, selling, and financing real estate. The advisor focuses on the unique financial and estate planning issues of the LGBT community. This advisor focuses on socially responsible investing ('SRI'), which refers to investments in companies engaged in social justice, environmental sustainability and alternative energy/clean technology efforts, while often avoiding companies in the 'vice' (alcohol, gambling and tobacco) or extractive energy/oil and gas industries . The advisor may provide financial and/or tax planning strategies and solutions for clients who want to participate in philanthropic activities. The advisor may provide financial planning strategies for clients who are looking for care over an extended period of time, either for themselves or their families, in the event or anticipation of compromising acute or chronic impairments. The advisor may provide financial and life planning strategies for families with special needs. The advisor has experience working with medical and healthcare industry professionals. The advisor has experience working with financial services professionals. The advisor has experience working with legal services industry professionals. The advisor has experience working with business executives. The advisor has experience working with entrepreneurs. The advisor has experience working with multi-generational households and managing their unique financial needs. The advisor has experience working with professionals. Below are the ways advisors charge for their service. Some firms only provide a single option, while others may provide multiple fee options. Some advisors refer to themselves as “fee-only” which means they only charge based on a percentage of assets, by the hour or a flat fee. Other advisors may refer to themselves as “fee based”, which means they may charge a mix of commissions in addition. Also referred to as "fee based". Fees are based on a mix of a) a percentage of the assets being managed and b) commissions on certain products like insurance, annuities, etc. Professional organizations the advisor is a member of. Many organizations have conduct and educational standards above what is required by law. National Association of Personal Financial Advisors is America's leading professional association of Fee-Only financial advisors—highly trained professionals who are committed to working in the best interests of clients. The National Association of Insurance and Financial Advisors advocates for a positive legislative and regulatory environment with regards to the role of insurance in financial planning. NAIFA also serves to enhance the business skills and promote the ethical conduct of insurance professionals. The Financial Planning Association (FPA®) is the principal professional organization for CERTIFIED FINANCIAL PLANNER (CFP®) practitioners, as well as financial planning educators, financial services professionals, and students. Financial Management Association's mission is to help support financial academicians and practitioners who are interested in the techniques and advances which define the field of finance. CFA Institute is the premier global association for investment management professionals, promoting the highest standards of ethics, education, market integrity, and professional excellence for the ultimate benefit of society. A society member of the CFA Institute, the NYSSA is comprised of chief investment officers, portfolio managers and leading analysts on both the buy-side and the sell-side of the industry, with over 95% of members holding the CFA designation. The American Institute of CPAs is the world’s largest member association for accounting professionals across industries. The AICPA sets ethical standards for the profession and U.S. auditing standards for private companies, nonprofit organizations, federal, state and local governments. The NYSSCPA serves as an advocate and resource for New York State-based Certified Public Accountants by representing and cultivating the profession's core values of integrity, professionalism, and ethics. The NJSCPA serves as an advocate and resource for New Jersey-based Certified Public Accountants by representing and cultivating the profession's core values of integrity, professionalism, and ethics. CALCPA serves as an advocate and resource for California-based Certified Public Accountants by representing and cultivating the profession's core values of integrity, professionalism, and ethics. CFA Society Boston is a non-profit membership organization for investment professionals that promotes the highest ethical standards, best practices, and professional development of practitioners in the field of financial and investment analysis and planning. Kingdom Advisors is a professional association that offers in-depth training and a tight-knit community to Christian financial professionals who want to integrate their faith with their practice. The American Association of Individual Investors is an independent, nonprofit corporation formed for the purpose of assisting individuals in becoming effective managers of their own assets through programs of education, information and research.